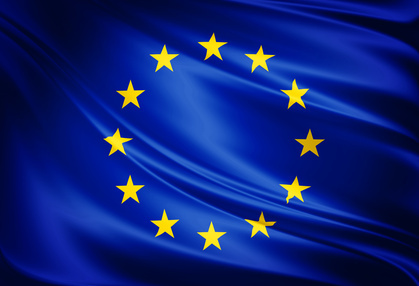 According to a leaked memo highlighted in the tobacco analysis blog, and predicted in the past by this blog, the EU is likely to recommend a ban on electronic cigarettes shortly. The EU plans to ban the marketing of all nicotine containing products which have not been approved as a medicine. This, of course, includes electronic cigarettes. This is despite extensive research and scientific opinion that the device is likely to be many, many times safer than cigarettes. The EU will be well aware of this research after presentations made by the Electronic Cigarette Industry Trade Association (ECITA) in Brussels. The ban will come as no surprise to those who have followed the smokeless tobacco debate. Like e-cigarettes, the safest forms of smokeless tobacco is far, far safer than smoking tobacco, and there is decades of evidence to prove the point. And the EU has disgraced itself in its handling of the debate. 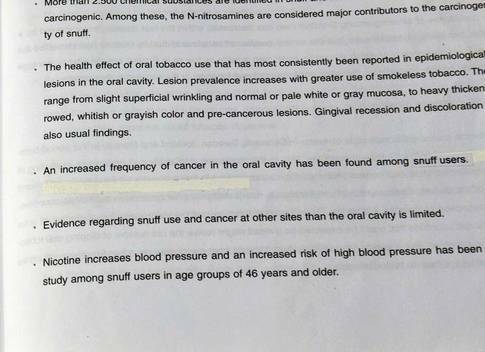 In its effort to ban smokeless debate despite scientific evidence that smokeless tobacco is safe, the EU allegedly rewrote a report on smokeless tobacco removing all positive comments. Want to help share this post? Please click on one of the buttons below. Hi Sandi, I agree, we need to get a petition up! No study to date has conclusively proven that e-cigarettes are harmful or more harmful than for example nicotine patches. In fact, research has found that they may in fact be more effective at helping addicts quit by addressing both the psychological and physical addition. From a common sense and logical point of view, there is no reason why e-cigarettes should have any more harmful an effect than any other product containing nicotine such as patches and the like. They all use nicotine in its derived form rather than tobacco form. Perhaps the reason there has been such a backlash against ecigs is actually due to political and financial reasons rather than any actual evidence. If it is admitted that they are as safe as nicotine patches, there would be no justification left to tax them or remove them from sale. Bad news for the taxman and bad news for the tobacco industry. Hi James, whenever anything new comes on the market there is always controversy somewhere along the line. the EU are’nt worried about our health at all!! They are concerned of the loss of tax revenue from tobacco!!. I gave up tobacco cigs in May because of a horrendous cough which frightened me, and switched to e.cigs. I feel so much better now, my cough is gone and I’m not wheezing at night, and my home smells so much sweeter. I say Bravo to e.cigs..
Glad it is working for you, Christine! Hi Linda, I think it is the marketing that would be stopped, you would still be able to purchase from existing suppliers. Christine Foster is right, it IS about the money they hope to rake in. They don’t care about the health issues at all. I agree with Sandi – time to get out of the EU. I switched to vaping at Easter, and my chest is much better as are the lab results for a chronic illness I have. These can’t be faked; and a lab test is objective and scientific. I regret to say that I am a nicotine addict. I don’t get on with nicotine replacement products prescribed by the doctor, and if I couldn’t vape, I would start smoking again. To take it still further, I could not afford to smoke so I would have to buy smuggled tobacco products. I stopped straight away after trying my e cigs! Been stopped over a year! Couldnt stop normal cigs! Happy with e cigs! Would end up smoking again if i couldnt get them! Hi Sue, I find it frustrating too with the EU, sometimes I think they are systematically offending every part of the population! Well done, Linda, hopefully e-cigs will remain available and you won’t have to go back to cigarettes! 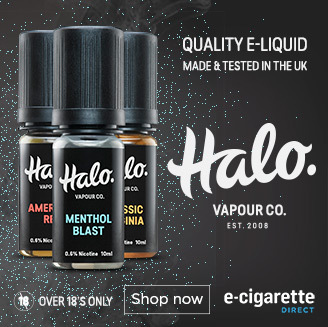 If it is just a marketing ban in the EU, does that mean we can still buy our nicotine E Liquid from the USA and China via the internet etc as I haven’t seen a mention of an import ban into the EU. As if it is just a ban on nicotine products that should mean I can still buy E Liquid from inside the EU but it has to be zero nicotine, and I should be able to buy any hardware and accessories from both inside the EU and from outside. Is my assessment on the above correct? Hopefully if it is just a ban on marketing you’ll still be able to buy your products within the UK but companies will not be allowed to advertise it. However, the emphasis on only allowing licensed products suggests that perhaps only large pharmaceutical companies will be able to obtain the licensing it and will sell it through chemists. screw EU law, screw big pharma, screw GRATSIO and screw pfizer. all of them have to sentenced like any other criminal! Christine and Sue have hit the nail on the head its all about money lost through taxation , sounds like the big pharmo companies are behind this because they will be losing out on their not very effective NRT products. I have been vaping for 10 weeks now and the transition from analog to e cigs has been simple and I feel so much better for it my plan is to stop in the future gradually lowering the nicotine content I use. Hopefully I will still be able to get the ingedients I need to make my own e liquid and eventually stop. I think so, Ian, Professor Siegel has blogged recently about Pfiezer has made $2.8 million in payments to organisations which campaign against the electronic cigarette. I do not suppose that CIGARETTES are to be banned? This is yet anothe r ill informed, ill thought-out pile of crap from faceless overpaid morons wh cannot decide where to put their unwanted offices! Stock up on base nicotine and make ya own juice,if ya don’t know how too then learn,it’s not hard.Totally wicked do it at 54mg and 72mg in 50 and 100ml bottles,lasts a very long time and just buy flavourings..
With the arguments used to defend EU decisions against e-cigarettes, I guess that EU also have to ban tea, while the water vapor is quite the same. And how about deodorants, body sprays and so on. 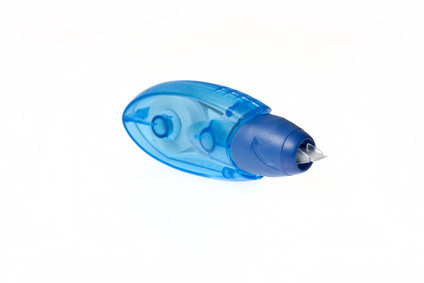 They can also harm people standing next to whom that are using them. And any product that looks like a cigarette or e-cigarette might also be banned if the EU politicians against the e-cigarette should be able to defend their argumentations. Then they will have to ban pencils. EU has and the politicians have simply reached a stage now, where their arguments no longer make sense. Pingback: Will Huge EU Tobacco Scandal Affect Electronic Cigarettes? It seems that the Pharmaceutical companies want a piece of the action as do the governments. Ban? No, they won’t ban it. It’s too good to be true! A highly addictive substance that’s taxable that won’t kill people.. A ban would only be a last option. As a prediction, the only producers allowed to mix the ingredients will be the pharmaceutical companies through a sister company to maintain a clean image but the e-liquid will be legally approved and heavily taxable. The tobacco companies will produce the branding and the physical product (B&H e-cigs!!) and eventually shrug off the tobacco products completely. All this banning stuff is a smokescreen and the EU are desperately trying to maneuver themselves into a position to take your cash through your recreational addiction. Remember, we are only here to be fleeced….. Werther that’s good for us or will kill us. Yes, I am sure that is what the pharmaceutical companies want! In America now some of the tobacco companies are pushing for regulations that will squeeze out small competitors too. Things are heating up! Please show your support for e-cigs by tweeting #EUCigsBan. There was another hastag, but I’ve retweeted several #EUECigsBan posts. Word from ECITA is that we need to keep up the pressure – all the emails to MEPs is helping but we need to keep repeating the message and hitting the same points. I tried for 30 years to give up smoking it was only when my glands were swelling up due to tobacco smoke irritating my airway to my lungs I thought I had to try harder. I thought that I had throat cancer but just could not stop smoking, so after trying numerous expensive pharma nicotine replacements, tried cold turkey methods nothing worked, I thought I’d give vaping a go. Well it has been over 2 years since I last smoked tobacco, my lungs were cleansed after about a month a lot of dirty mucus from tobacco (it was dark brown), my lungs feel like the way I remember when I was a kid before getting addicted to tobacco. Like the majority in Britain we are fed up with the EU, the way they encroach on our personal tastes and lifestyles. A corrupt, unaccountable, brave new world organisation that I personally want nothing to do with. This looks like the work of corporate pharmas and tobacco companies bribing EU officials to take away our liberties. I don’t think E-cigs will be banned it looks like they’re about to take control of the supply chains and apply heavy taxes on the products as they are losing a lot of tax revenue from people who have found a way out from terrible effects of tobacco smoking. If you vape you are still addicted to nicotine but you feel safer and healthier. The EU wants you to die in pain and high taxes. I dont beleive they are illinformed about ecigs. I beleive the EU is totaly wicked!